It is said that the eyes are the windows to the soul. As such, the eyes are often considered among the most beautiful features we have. Beautiful eyes draw attention away from less attractive features and accent the more attractive qualities located at the upper part of the face. Most eyes have a degree of natural beauty, and enhancing that is often the work of a few simple actions that can result in dramatic results, from using traditional makeup to easy eyelash extension procedures. Simple traditional makeup tricks can help you accent your eyes with a more natural look. Something as simple as using mascara other than black or brown can really make your eyes pop! Blue and violet mascaras highlight different colors in the eye, and bring them to focus. Additionally, using eye shadow in shimmering colors that complement the natural color of your eyes can bring out their natural beauty. For blue or green eyes, pale colors in silver, green, and blue bring out your colors. Brown eyes can be accented with pastel and shimmery tan, beige, and pink. Placing a light color of eye shadow that is close to your skin tone underneath the eyes can reduce the appearance of dark circles and help them look less sunken in. There are many creams available that help improve the appearance of the eyes. These enhance the natural beauty of the eye by reducing the appearance of wrinkles, dark circles, and puffiness. These things distract from the beauty of the eye and draw attention to blemishes. Simple creams made to firm skin and help create continuity of pigmentation can eliminate these distractions and allow others to focus on the beauty that exists naturally around your eyes. New technology has made it possible to improve the appearance of the eyes without makeup and without creams. Thick lashes that appear to curl upward enlarge the eyes and dramatize their beauty. 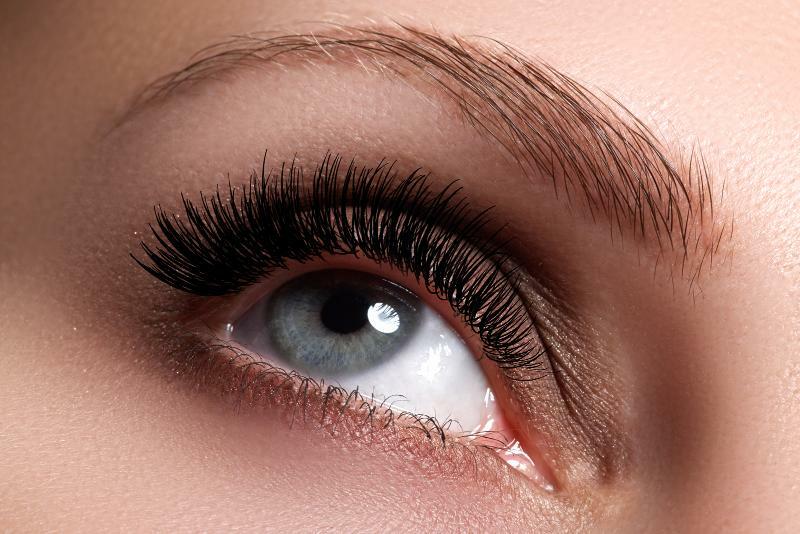 Eyelash extension procedures do these things, and reduce or eliminate altogether the need for mascara. It is possible to receive permanent eyelash implants surgically, but one of the most popular new lash extension procedures is the use of synthetic eyelashes bonded to natural lashes. These extensions are individually and precisely placed for maximum effect. They are placed directly on the natural lashes, extended them longer and creating flexible curls and natural bounce. It takes only an hour or a little more to have eyelash extensions placed and when properly bonded and cared for (maintenance is actually rather low), they will last the life of the natural lash to which they are bonded. There is no reason to let your eyes hide in ignominy. There are simple things that can be done, alone or in combination, to accent your eyes and draw attention to this lovely and expressive feature. By learning the tricks of the trade, you can easily enhance the natural beauty of your eyes.